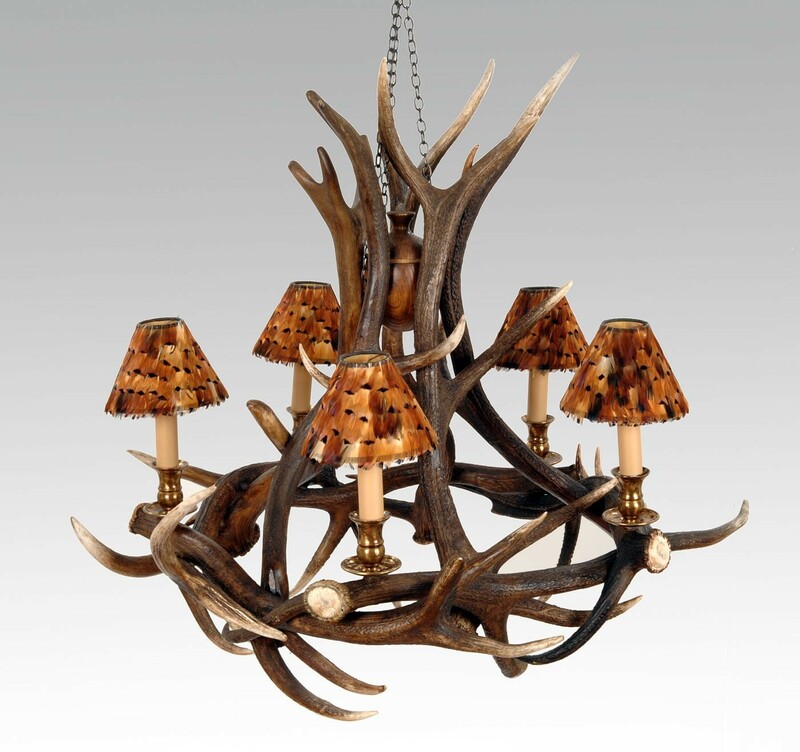 Smaller in diameter than the 6-arm chandelier, this is another extremely popular design. It is also a very flexible style as the diameter can easily be altered from a minimum of approx. 60cm up to 120cm. The feather lampshades are an optional extra.